As the number of stories in the news that portend doom and gloom increases, it makes more and more sense to dig into some of the ways more and more people are fighting back. Permaculture has much to teach us about how to live a better life. Perhaps it is spring now as it is here in North America as we write this article, or fall if you are in the southern hemisphere. In either case, as you consider your garden, and what you plan to do with it, a quick review of the ideas behind Permaculture are a worthwhile exercise. The more you review these concepts, and the more you think about them, the more it becomes clearer that these simple ideas make a lot more sense than much of what we commonly hear day-to-day. Imagine retaining a focus on the earth, people and sharing as a core ethic in the company you work for or in the community you share. We do have a choice to live according to our own ethics. Given all the other news regarding climate change and economic uncertainty, a change towards something that works for both you as an individual but also you within community, and in fact the earth's environment makes more sense. Permaculture is a branch of ecological design, ecological engineering, andenvironmental design which develops sustainable architecture and self-maintained horticultural systems modeled from natural ecosystems. Take care of the earth: Provision for all life systems to continue and multiply. This is the first principle, because without a healthy earth,humans cannot flourish. Think about these core ethics. Why not apply them to your own life? Since the earth is our home, our only home, and we must share it fairly in order to maintain a livable environment, then don't these ethics make sense for all of us? As you apply them despite the "economics" you will no doubt find that the ecology of your life and your community benefits. So what does ecological design really mean a look like? 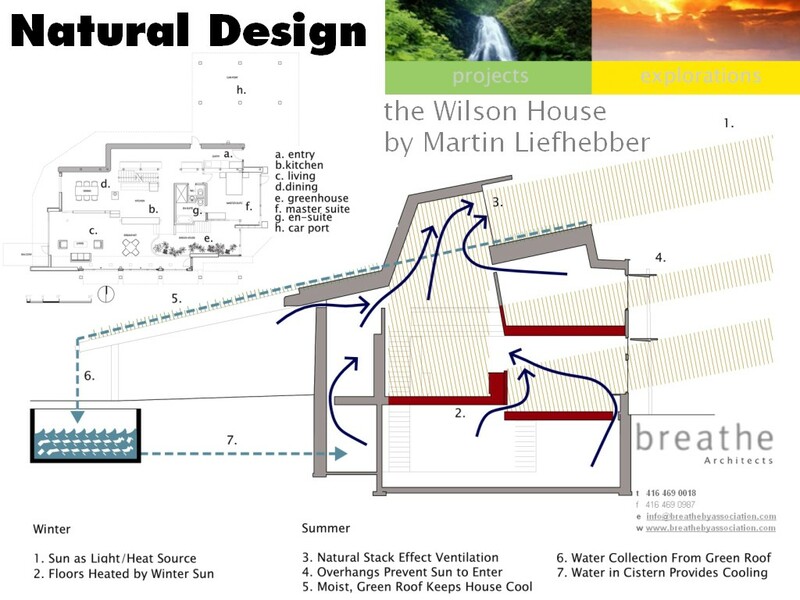 Take a look at this house that incorporates these principles. Permaculture design emphasizes patterns of landscape, function, and species assemblies. It asks the question, "Where does this element go? How can it be placed for the maximum benefit of the system?" To answer this question, the central concept of permaculture is maximizing useful connections between components and synergy of the final design. The focus of permaculture, therefore, is not on each separate element, but rather on the relationships created among elements by the way they are placed together; the whole becoming greater than the sum of its parts. Permaculture design therefore seeks to minimize waste, human labor, and energy input by building systems with maximal benefits between design elements to achieve a high level ofsynergy. Permaculture designs evolve over time by taking into account these relationships and elements and can become extremely complex systems that produce a high density of food and materials with minimal input. The design principles which are the conceptual foundation of permaculture were derived from the science of systems ecology and study of pre-industrial examples of sustainable land use. Permaculture draws from several disciplines including organic farming, agroforestry, integrated farming, sustainable development, and applied ecology. Permaculture has been applied most commonly to the design of housing and landscaping, integrating techniques such as agroforestry, natural building, and rainwater harvesting within the context of permaculture design principles and theory. Permaculture is a design philosophy which seeks to exploit and imitate naturally occurring patterns. Patterns occur in nature in many forms: Our Earth and other planets move around the Sun in a mathematical pattern, and from studyingFractals, patterns emerge from apparently random things such as the shape of plants such as trees as well as the variety of leaves and flowers. "The application of pattern on a design site involves the designer recognizing the shape and potential to fit these patterns or combinations of patterns comfortably onto the landscape".Patterns such as spiral, branching, wave, net and honeycomb are structural patterns that are repeated throughout nature. "A lot of the structural patterns combine strength and beauty with efficiency of space through large surface area or extensive edges. Looking at the benefits of these characteristics provides us with attitudes that we can emulate in our design work." A guild is any group of species where each provides a unique set of diverse functions that work in conjunction, or harmony. Guilds are groups of plants,animals, insects, etc. that work well together. Some plants may be grown for food production, some have tap roots that draw nutrients up from deep in the soil, some are nitrogen-fixing legumes, some attract beneficial insects, and others repel harmful insects. When grouped together in a mutually beneficial arrangement, these plants form a guild. The edge effect in ecology is the effect of the juxtaposition or placing side by side of contrasting environments on an ecosystem. Permaculturists argue that, where vastly differing systems meet, there is an intense area of productivity and useful connections. An example of this is the coast; where the land and the sea meet there is a particularly rich area that meets a disproportionate percentage of human and animal needs. So this idea is played out in permacultural designs by using spirals in the herb garden or creating ponds that have wavy undulating shorelines rather than a simple circle or oval (thereby increasing the amount of edge for a given area). Edges between woodland and open areas have been claimed to be the most productive. The zone nearest to the house, the location for those elements in the system that require frequent attention, or that need to be visited often, such as salad crops, herb plants, soft fruit like strawberries orraspberries, greenhouse and cold frames, propagation area, worm compost bin for kitchen waste, etc. Raised beds are often used in zone 1 in urban areas. A wilderness area. There is no human intervention in zone 5 apart from the observation of natural ecosystems and cycles. 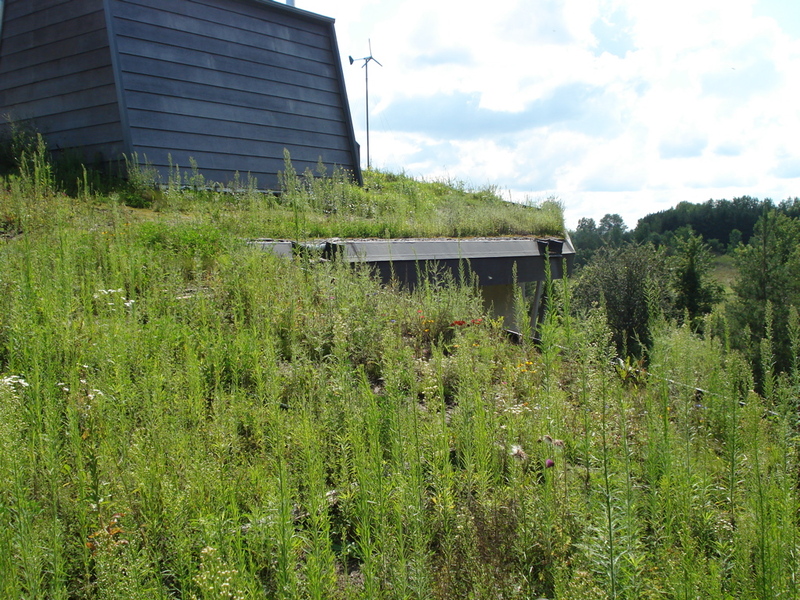 Permaculture uses observation of nature to create regenerative systems, and the place where this has been most visible has been on the landscape. Hence a lot of the attention to date has been with the Earthcare ethic. There has been a growing awareness though that firstly, there is the need to pay more attention to the peoplecare ethic, as it is often the dynamics of people that can interfere with projects, and secondly that the principles of permaculture can be used as effectively to create vibrant, healthy and productive people and communities as they have been in landscapes. In 2012 the first book was written to explore how we can use the principles and design in our own lives, our relationships, and in larger systems such as healthcare and education." For example, the first principle of 'observe and interact' can be useful as parents, we can spend time observing our children to discover what works well and what factors can contribute to difficult situations. We can then interact with these observations to try and forestall any challenging situations. Transition initiatives utilise permaculture design to bring communities together to develop resilience against the growing challenges of climate change, peak oil, and economic instability.